I have long been a fan of Tatty Devine, the ultimate laser cut perspex jewellery supremos. Ever since first discovering them at the age of 14, I’ve been bowled over by their super-cool jewellery and accessories, and have made a fair few purchases over the years; their iconic name necklaces, plectrum earrings and spectacle neckwear. This summer, BALTIC Shop, one of my favourite North East shopping destinations, part BALTIC Centre for Contemporary Art and TD’s larget North East stockist, welcome the Tatty Devine team, who’ll be hosting the region’s first Bunting Necklace Workshops. 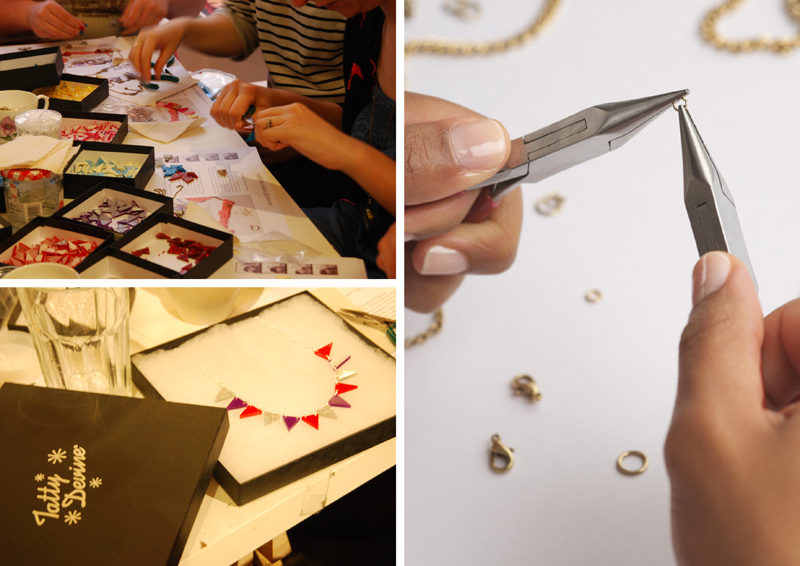 Aspiring jewellery makers can work with the team in choosing their own necklace components and create a bunting masterpiece all for themselves. The two workshops, running on Saturday 13th July, are sure to sell out quick, so to book your place on this super exclusive workshop, hot-foot it over to BALTIC Shop to get your hands on some tickets, or click here to book online. Next Post What’s been going down.